Since 2009, Mad Men's third season, Elizabeth Moss has earned an Emmy nomination for playing Peggy Olson. That's five straight Outstanding Lead Actress in a Drama Series nominations. Since 2010, Mad Men's fourth season, Christina Hendricks has earned an Emmy nomination for playing Joan Harris. That's four straight Outstanding Supporting Actress in a Drama Series nominations. Therefore, Moss and Hendricks' nominations should be stone cold locks in 2014, right? Here's my concern, neither actress has that great of an Emmy submission episode. While it's possible they earn nominations based upon name recognition alone, you still have to bring your "A" game to earn a nomination in 2014. The amount of quality television and quality performances seem to be rising exponentially every year. It used to just be a female can coast to a nomination because of the lack of competition. But that's just not the same anymore. Recent shows like Orphan Black, Scandal, Homeland, Bates Motel, and Orange Is The New Black have excellent female characters and actors, that you now have to fight for a limited amount of spaces. The Emmy's have made it a little bit easier for females to earn a nomination as both the Outstanding Lead Actress in a Drama Series and Outstanding Supporting Actress in a Comedy Series as each had seven nominees as opposed to the normal six last year, but that was an extreme outlier. There's no precedent to suggest that this trend of seven nominations will continue. But even in this deep nomination period, I do think Elizabeth Moss earns an Emmy nomination this year. I was all ready to completely discount Moss because the first 5 (out of 7) episodes of Mad Men barely touched on Peggy Olson, and the only one that did ("A Hard Day's Work"), centered around whether someone sent her flowers or not. It was still probably great Emmy bait because at the very end of the episode (spoiler alert) she broke down and cried; however, I don't know that anyone watching Mad Men would see this show and scream "Give Elizabeth Moss the Emmy right now!" But then the final two episodes ("The Strategy" and "Waterloo") aired, and Elizabeth Moss created a highlight reel that I think Emmy voters can truly appreciate. Even though Elizabeth Moss now has a good chance to earn an Emmy nomination, I do not believe Christina Hendricks has a similar one. Hendricks plays Joan Harris, and that character has been essentially non-existant all year. And when Joannie does get story lines, they haven't given Hendricks the opportunity to shine like in year's past. Hendricks' submission episode is probably "The Strategy", and all she does is reject Bob Benson's marriage proposal. I still say both Elizabeth Moss and Christina Hendricks earn a nomination, but I don't know that it will be as much of a lock as it appears to be, especially for Hendricks. QUESTION TWO: How many writing nominations will Mad Men get? Normally this answer is at least two. In 2012, Mad Men earned 3 out of the 5 drama series writing nominations. In 2011 and 2010, Mad Men earned 2 nominations. In 2009, Mad Mad earned 4 out of the 5 drama series writing nominations. However, a funny thing happened in 2013, Mad Men earned a whopping ZERO writing nominations. Therefore, it's not a guarantee that Mad Men will earn even one writing nomination in 2014, nevertheless two. 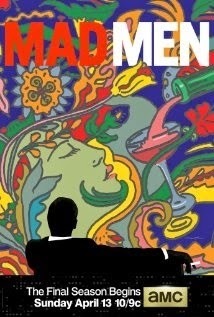 But that being said, I do think Mad Men earns two writing nominations. The only real question now is for which episodes. Normally I'd say the first nomination would go to Andre and Maria Jacquemetton for whichever episode they wrote seeing as they have three writing Emmy nominations from Mad Men; however the Jacquemetton writing duo didn't write any episodes for Mad Men this year. I think "Waterloo" the (mid) season finale earns one nomination both because the Emmy's love season finales (albiet the finales they love tend to have MUCH more action like something out of Game of Thrones or Boardwalk Empire) and because it was just a fantastic episode. As for the second episode to nominate, I think it's between "The Strategy" and "Field Trip"- probably because those are the only other two I feel are even worth a nomination. I'm going to say that "The Strategy" wins out because Matthew Weiner isn't credited with writing that episode (like he is with 90-95% of Mad Men episodes) and also because I think it's the better episode. QUESTION THREE: Will Mad Men earn a Best Supporting Actor nomination this year? In the past, Mad Men has had an actor from the show earn an Outstanding Supporting Actor in a Drama Series nomination. From 2008-2011, John Slattery (Roger Sterling) earned a nomination in this category and in 2012, Jared Harris (Lane Pryce) earned a nomination in this category. However, no one from Mad Men earned a nomination in this category last year, and I don't see anyone doing it this year. The actor from Mad Men who has the best shot to earn a Best Supporting Actor nomination is John Slattery, but his Emmy nomination isn't the greatest, and it certainly isn't up to par with his previous submission episodes (but that's mainly because Roger Sterling hasn't done a whole lot in this shortened season). I'd say Vincent Kartheiser (the actor who plays Pete Campbell) has a shot because he has a decently good Emmy submission episode (most likely "The Strategy" because it deals with his past and current relationship), but since he's never been nominated before, I can't imagine a deep 2014 will be his year to start. Therefore, I don't believe any actor from Mad Men will earn a nomination in the Outstanding Supporting Actor in a Drama Series category in 2014. QUESTION FOUR: Will Jon Hamm win an Emmy this year? HELL NO! There is absolutely no way on God's green Earth that Jon Hamm will ever win an Emmy. WHAT DID YOU THINK ABOUT MAD MEN'S SEVENTH SEASON IN 2014? LET US KNOW ON OUR FACEBOOK PAGE!